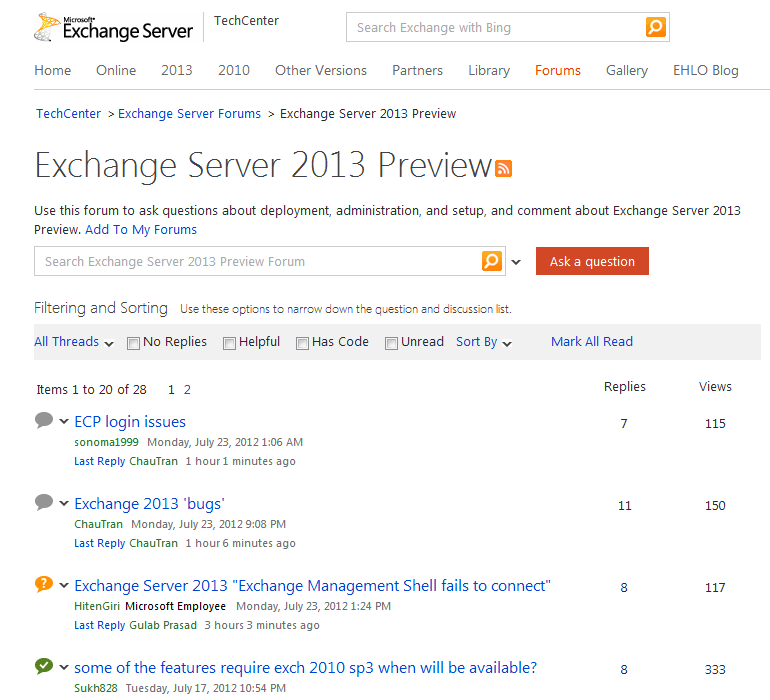 TechNet pages appeared forum dedicated to Microsoft Exchange 2013 Preview. Tagged Microsoft Exchange 2013 Forum, TechNet. Bookmark the permalink.